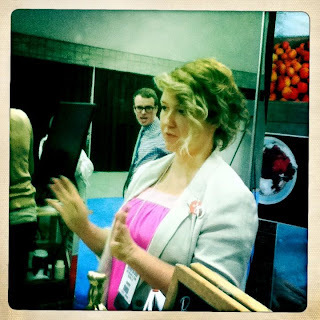 We spent the early part of this week at the Fancy Food Show in D.C. Acres and acres of new and familiar products. My friend, Anne, and I make this a yearly ritual. This year there was a lot of dried okra -- a great way to eat okra without the slime. There were also many bottled shrubs, fruit drinks with a kick of vinegar which I usually have to make by hand, so it was nice to see them already bottled for me. There were several folks in attendance who we have written about at Cookbook Of The Day. Jeni, from Jeni's Splendid Ice Cram was there with splendid ice cream. We just love ice cream books almost as much as we like ice cream and Jeni's is a favorite. Check out our review of her book here. To find out what makes Jeni really special, take a look at this video of Jeni describing her ice cream. Anyone who is inspired to make ice cream by reading Edna St. Vincent Millay is someone we want to party with. Another favorite book of ours is Wild Table. 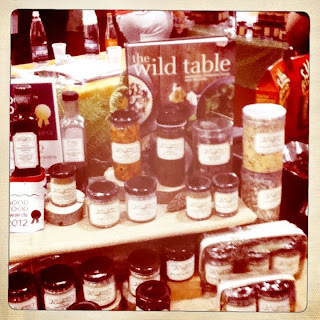 Connie Green and Sarah Scott introduced a new line of foraged products including a great fennel pollen. Their elderberry shrub was a prize winner. Check out their products and foraged items at Wine Forest. The guys at Brooklyn Brew Shop were busy making beer. 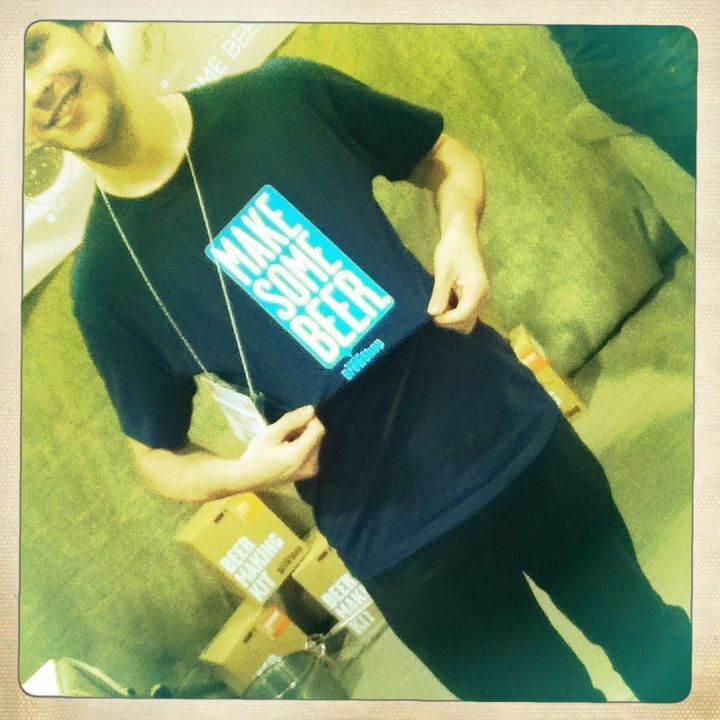 I made beer in a D.C. apartment, once. It took up most of the kitchen and all of the linen closet. 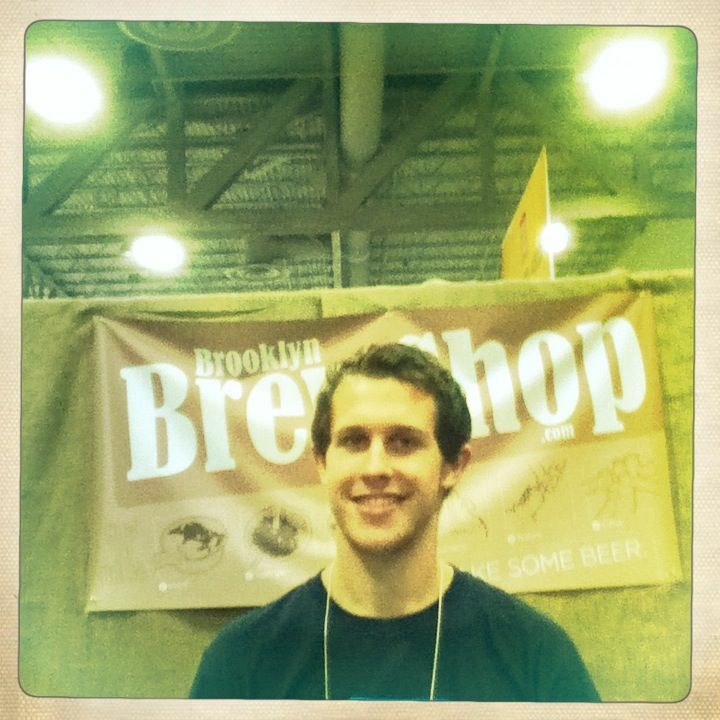 Brooklyn Brew Shop shrunk the process down into a gallon fermenter and the rest...as they say, is history. So grab a kit and brew beer in your Airstream if need be. And their shirts were cool, too. Ah, so much food, so little time. I am spending the next few days soothing my blistered feet! I think I would have been very tempted with those delicious foods.